Walls looking a bit naked? Decorate your home with your favourite memories printed on canvas, and we'll deliver it to you within a few days. Your canvas is printed with UV resistant and odourless, environmentally friendly HP ink. Each canvas is handcrafted in our own production facility, guaranteeing the highest quality. Your photos are printed in razor-sharp detail and manually stretched on a warp-resistant, 2cm thick frame with a wall mount attached. Give your canvas an extra touch by adding a floating frame or layouts. Our floating frames are available in black and white. They're made from plastic with a wooden look and fit on all our formats and sizes. 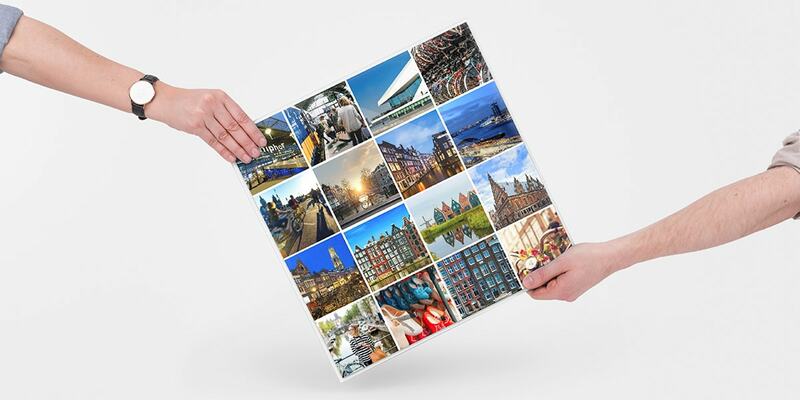 Use one of our 200 unique layouts to display multiple photos together on your canvas. You can further customise it by adjusting the colours and backgrounds. Perfect for your favourite Instagram photos! Our specialists will make sure your canvas looks perfect. If you’re not happy (though we’re confident you will be), all you have to do is get in touch and we’ll refund you or reprint. Our customer care agents are available 7 days a week. By creating your own personalised canvas, you can add something completely unique to your home. Whether you’re using a family photo or a city skyline, our personalised canvas print editor gives you creative control. Add a range of effects, and play around with the design until you’re completely happy. 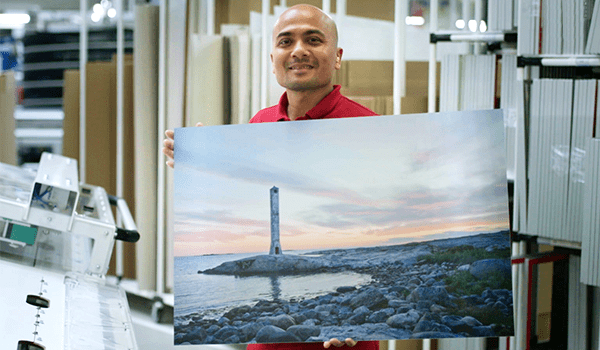 Custom canvas prints from bonusprint give you the opportunity to capture those special moments in life for posterity. Perhaps you want to tint your photo to really make it pop. Or maybe you want to add a special message for a loved one. Make your create vision a reality by designing your own personalised canvas prints with bonusprint. 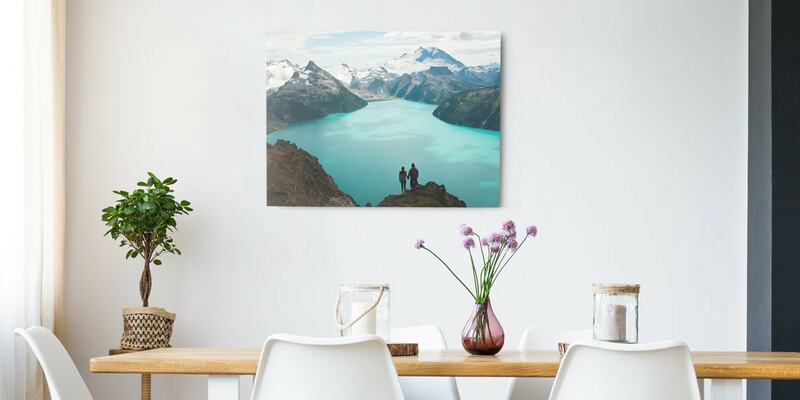 Canvas prints from bonusprint give you the opportunity to create your own unique wall art. Our online photo canvas creator puts you in control of the design process. Upload your photo, and choose between a portrait, landscape or square design. Add your own photo effects based on your personal preferences or the colour schemes in your home. Once you’re happy with your design, we’ll send your canvas wall art to you in protective packaging — ensuring it reaches you in perfect condition. 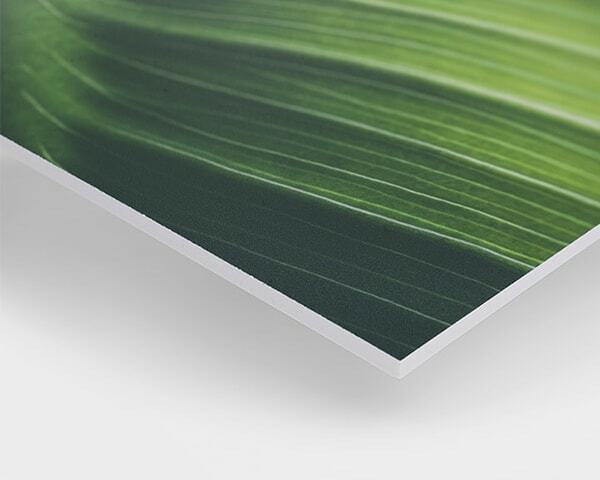 Canvas photo prints from bonusprint are stretched across a solid wood frame. All of our products are delivered to you in razor-sharp detail — doing justice to the photos that mean the most to you. Tell a story by creating your very own collage canvas with bonus print. By displaying two or more images together, you can commemorate holidays, family celebrations of life’s major milestones in style. Create your own multi photo canvas by choosing a format, a canvas size and the number of images you require. You can then add borders between your images and choose from a selection of backgrounds. Creating your photo collage canvas has never been easier. bonusprint gives you a selection of offline and online design tools. And you can even upload your photos and design your collage canvas prints on a mobile device — using one of our easy-to-use smartphone apps. 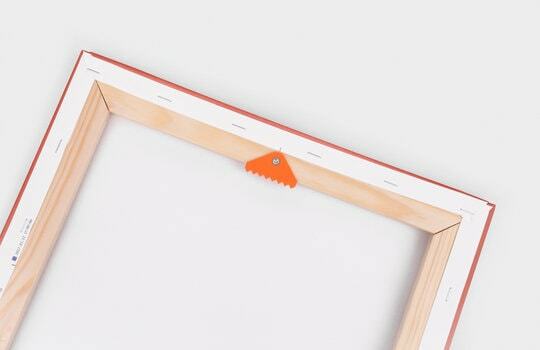 A small picture frame can become lost if it’s too small for the wall on which it hangs. By ordering a large photo canvas from bonusprint, you can ensure your favourite images really stand out. Whether you’re giving a family portrait pride of place in your living room or displaying a city skyline above your bed, extra-large canvas prints deliver maximum impact. The easy-to-use bonusprint design interface gives you several size options at the beginning of the creation process. 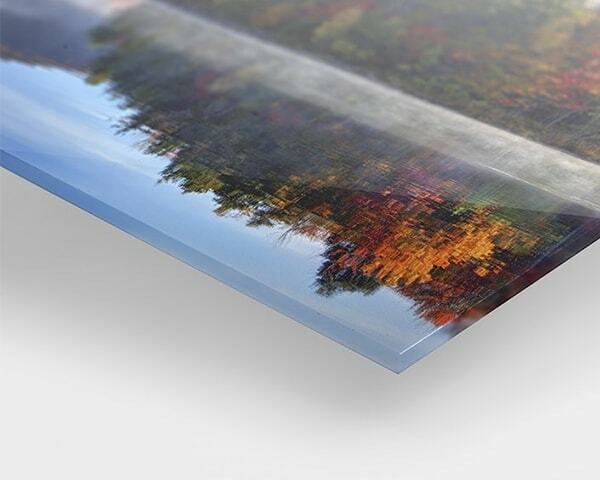 You can create large canvas photo prints without stretching or distorting the original image. 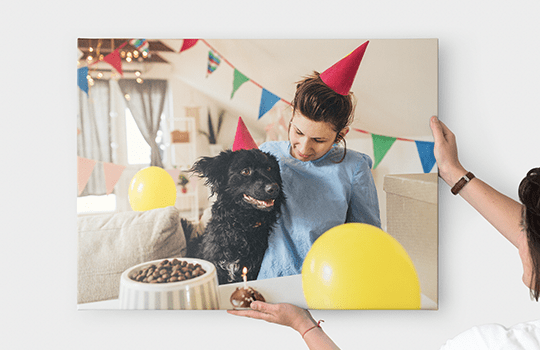 And because bonusprint allows you to upload your own images in seconds, creating large canvas prints from digital photos is a seamless experience. Why buy generic wall hangings from a store when you can create your own canvas in a matter of minutes? Add the element of luxury to your home by creating a premium quality canvas that means something special to you. Whether you want to mark family holidays in style or capture those once-in-a-lifetime moments, bonusprint allows you to make your own canvas print without any formal design skills. The only things you need to bring to the print creator are your photos and your imagination. Create your own collage canvas with two or more of your own images, or make something truly powerful with a photo that has special meaning. bonusprint allows you to turn a photo into a canvas according to your own creative vision. Do you have photos that define your love for a friend or family member? Is there a particular image that evokes happy memories from years gone by? Why not get these photos made into canvas? There’s nothing to be gained from storing your favourite and most meaningful images in a drawer. Instead, use bonusprint’s design tool to turn photos into canvas. It’s very easy to get photos printed on canvas. Upload them to the bonusprint design interface, and edit them according to your requirements. You can now turn pictures into canvas with just the click of a mouse. There’s no need to worry if you don’t have design or computer skills, as you can create easy canvas prints in a matter of minutes with bonusprint. 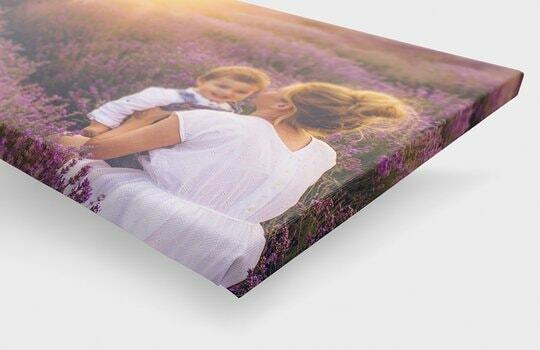 Using just your computer and a broadband connection, you can design the best canvas prints using only your imagination and your favourite photos. High quality canvas prints are no longer the domain of design professionals and photography experts. 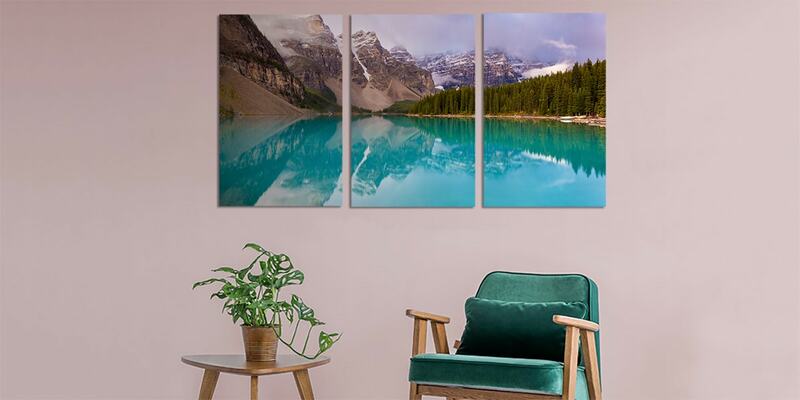 bonusprint puts you in the designer’s chair — empowering you to create everything from family canvas wall art to collages of your favourite vacations. 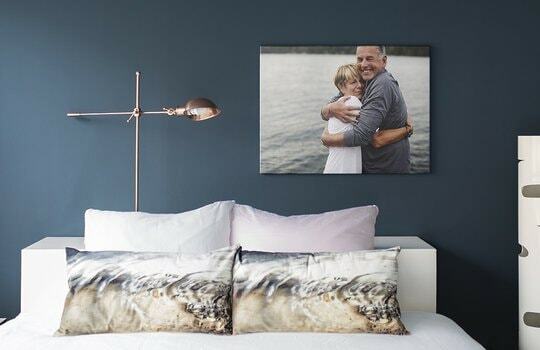 If you like to display your most personal images in the most private areas of your home, create an eye-catching bedroom wall canvas using bonusprint’s simple design tool. You can make a personalised wedding canvas to celebrate your anniversary, for example. 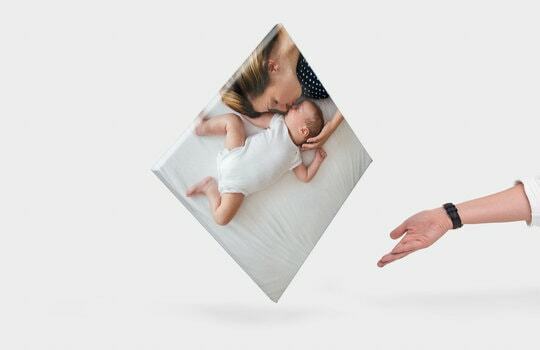 Bring your most precious images to life with our innovative canvas creator. 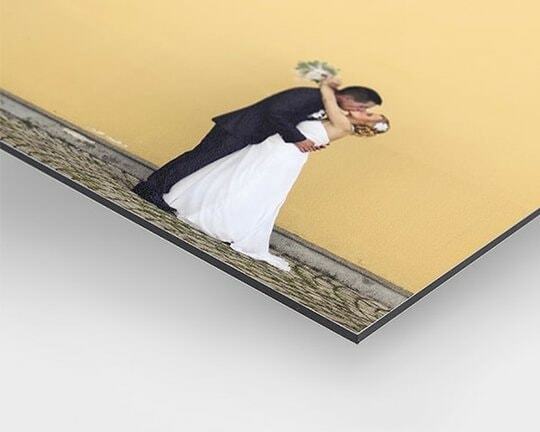 Whether you want a wedding photo canvas to hang over your bed or a family canvas for the living room, we can make those special memories come to life. It doesn’t matter whether you want contemporary wall art or to relive the most memorable moments in your life, buy canvas prints from bonusprint — and give your favourite photos pride of place in your home. Once you’ve finalised your design, you can order canvas prints with the push of a button. Turn any photo into canvas from the comfort of your own home! Good quality canvas print, have now ordered three in total. Excellent value with the special offers, and good delivery with the canvas well packed. Would recommend, l have no connection with bonusprint except being a customer. 3 x 16"x20" Canvas photoprints of lovely landscape views especial to us now proudly displayed in our sitting room. They have replaced some nice town views we had that were mass produced prints.....these prints by Bonusprint are classy and unique.